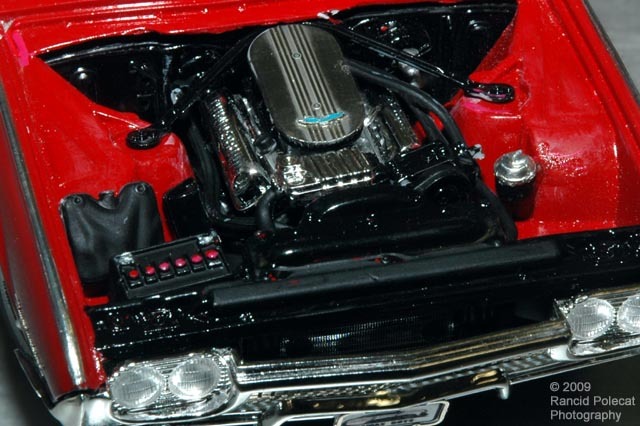 Ron's real inspiration for this model is under the hood, the optional tri-power "M" code 390 cubic inch engine. This engine with it's three Holley 2-bbl carbs produced 340-hp. Quite a boost over the standard 390's 300 hp.